Bill joined Bland Garvey Wealth Advisors in 2011 bringing a depth of experience working with both individuals and companies seeking assistance with their investments, as well as coordinating their related accounting, estate and other wealth concerns in alignment with their financial goals. 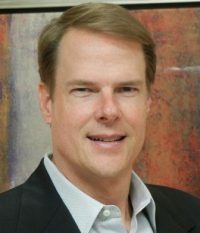 Bill holds a bachelor’s degree in accounting from the University of Texas at San Antonio, where he began his career in public accounting working for Ernst & Young. He later decided to specialize in wealth management and served as Vice President in the Private Client Group for both Northern Trust and Fisher Investments. Bill is active in the Richardson Chamber of Commerce and is a Leadership Richardson graduate class of XXVII. Bill also serves on the UT Dallas Gift Planning Professional Advisory Council and is a member of The Dallas Estate Planning Council. He is an avid tennis player and is actively involved in the tennis community.